We were delighted when our award-winning Weston Heights development won yet another award recently. 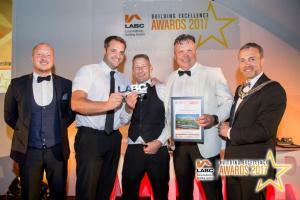 On this occasion it was a Local Authority Building Control (LABC) Building Excellence Award for the West Midlands region. Weston Heights, a development of 280 new homes with a new neighbourhood park and recreational spaces in Stoke-on-Trent, won the Best High Volume New Housing Development award. The long-term regeneration project took over 10 years to complete in partnership with housebuilder Lovell and affordable housing association Riverside. It won the award for achieving excellence in the delivery of outstanding construction and workmanship. Previously the development won Bronze at the national WhatHouse? awards 2011 for Best Partnership Scheme. As a result of its regional win, Weston Heights has now been automatically shortlisted for the LABC Grand Finals. These will take place on Friday 10th November at the Westminster Park Plaza in London. Managing Director Dave Bullock said: “We are absolutely delighted that Weston Heights has won a Building Excellence award. 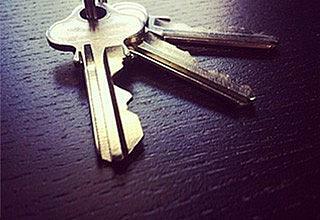 It was our first scheme, starting shortly after Compendium Living was established in 2005. Therefore it is fantastic that our first ever regeneration project has won such an award. Stuart Penn, Regional Managing Director at Lovell said: “It has been a pleasure to work with Compendium Living to provide new high-quality housing for the people of Stoke-on-Trent. The award is a testament to the hard work over the past 10 years on this fantastic joint project.